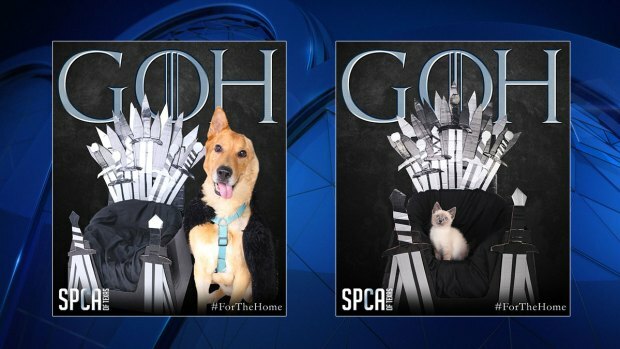 The Society for the Prevention of Cruelty to Animals (SPCA) is having a Game of Homes Adoption Special, in honor of the final season of Game of Thrones. Dogs, cats and even bunnies posed for some pictures with the 'Iron Throne'. Discounts will be available throughout the final season of the show, including 50 percent off dogs 40 pounds or heavier. For more information on SPCA of Texas adoptions, visit their Facebook page.